CAPRI White Solar Table Light. 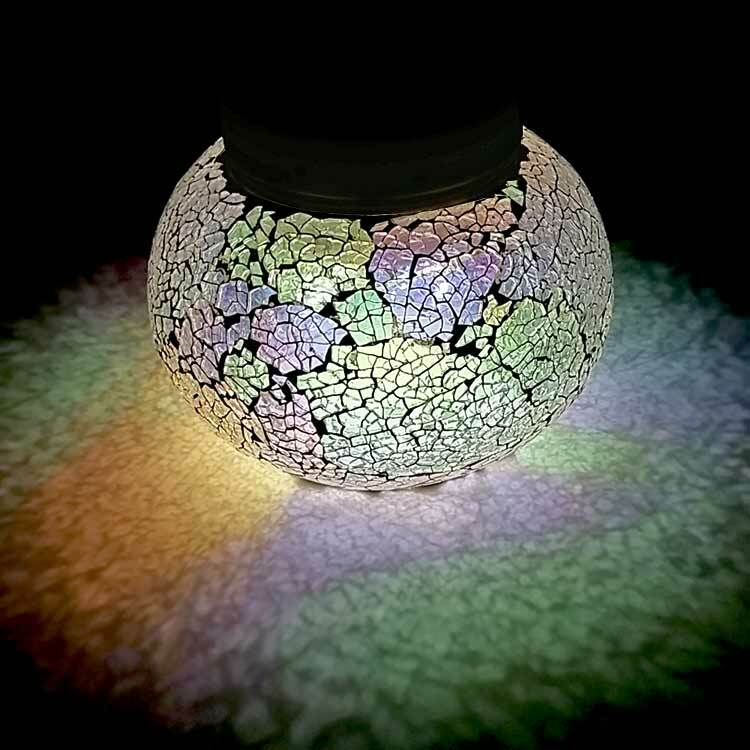 Sparkling Solar Light for Patio. 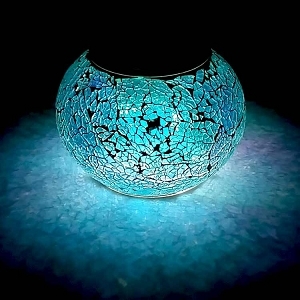 Hand-Crafted Solar Light Glass. 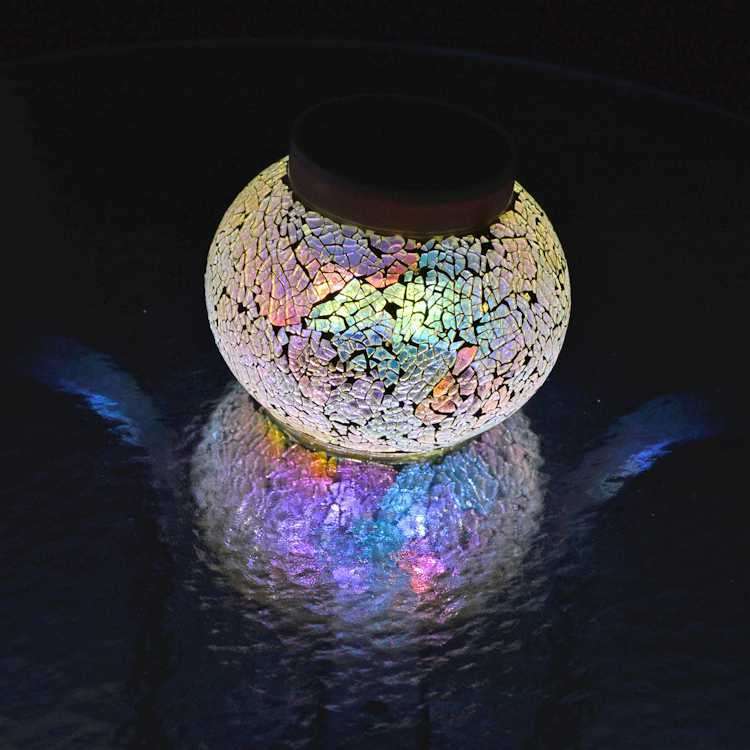 Home > Table Solar Lights > Solar Table Light - CAPRI White. 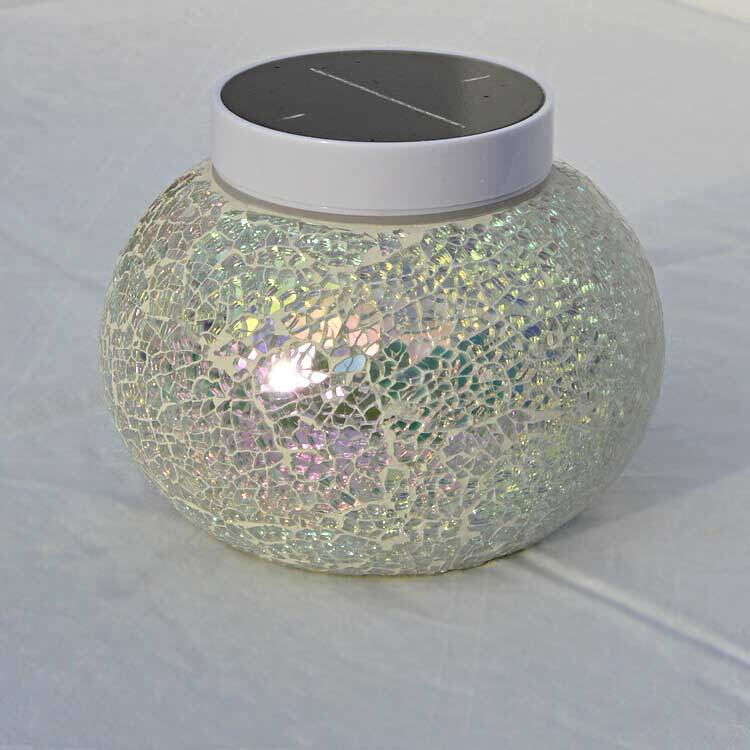 Night Time Sparkle Around Your Patio. Best Features of Solar Table Light:Automatically turns on for 8 hours at night. Updated from our popular Belize model. Bright and beautiful, the CAPRI white table solar light is impossible to show its real beauty through photos. 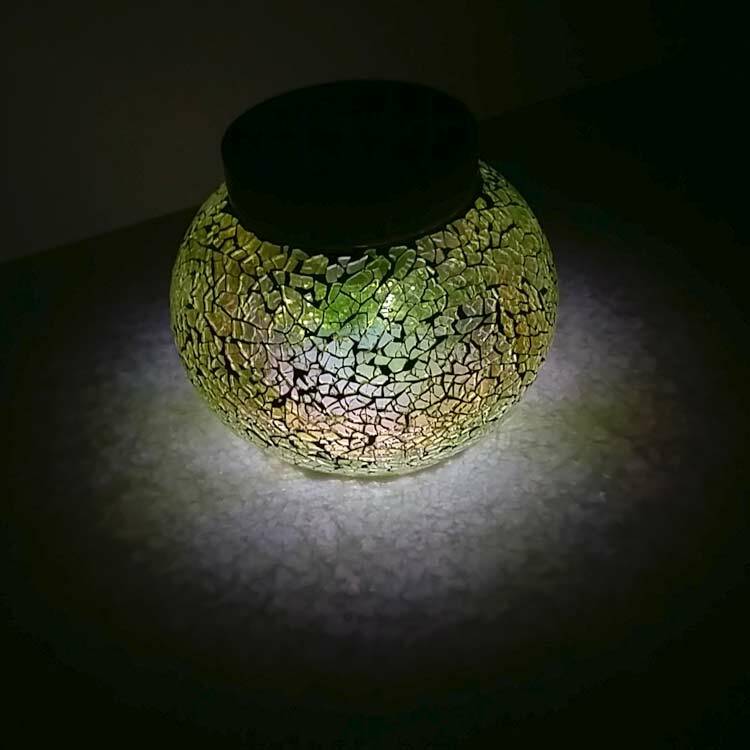 During the day, it reflects color from its surroundings and at night its light can change depending on the table top. The new lustre coated glass makes the light as stunning during the day as at night. 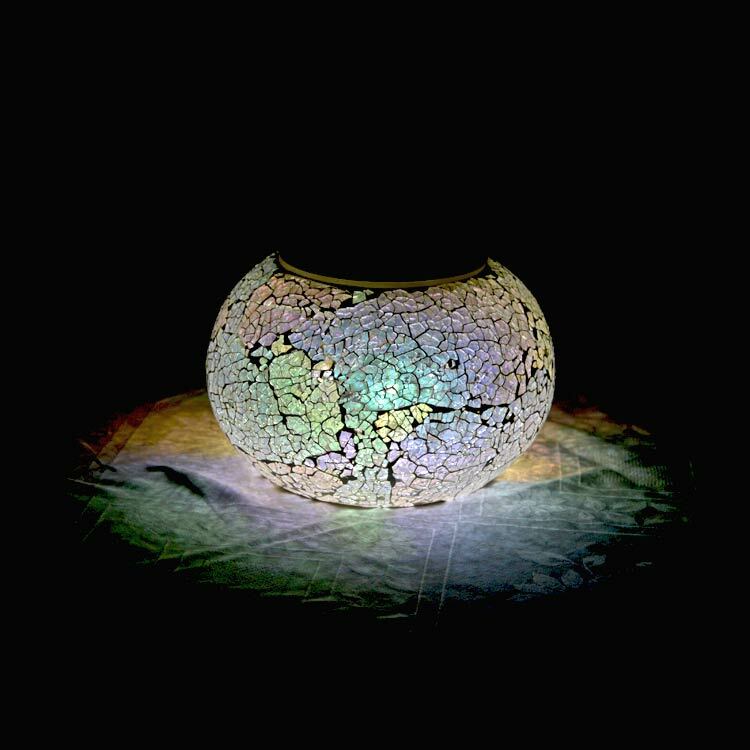 Each Solar Expression2 light is individually hand-crafted by glass artisans. Each light offers its own unique style of beautiful soft light that will impress everyone. Solar lights the way they should be: easy to use with long lasting light. This light looks stunning, day or night. The light now turns off automatically after 8 hours to conserve charge for the next day. This new model has 30% more lighting time than previous Expressions. Check out the comparison video. Everything is clear once you see the differences. When you compare our Solar Expression lights to other table lights, please notice these differences. Light size is 40% smaller!